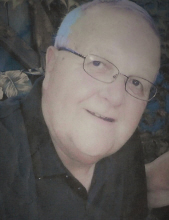 Charles (Chuck) Elmer Johnson, 75, of Toledo passed away on March 29th at Toledo Hospital surrounded by his children. Chuck was born to Clyde Edison and Ida Elizabeth (Greer) Johnson on December 17th,1943 and a life-long resident of South Toledo. Chuck was a graduate of Libbey High School (1962), attended the University of Toledo and a graduate of the Cincinnati College of Mortuary Science (1967). Chuck was a Funeral Director-Embalmer for more than 40 years at Neville Funeral Home and then worked for the Lucas County Coroners Office for an additional 6 years before retiring in 2006. Chuck loved what he did for a living and chose to be a part of various organizations that supported that community. He was a former president of the NW Ohio Funeral Directors Association and member of the Ohio Embalmer’s Association. He was an avid supporter and member of AA. He devoted many hours to counseling and helping others through their struggles. Chuck was a loving father to son Devon Charles Johnson and daughters Danae (Chris) Wedge and Danielle (Mike) Binkowski. He loved spending time with his grandchildren by attending their atheltic events, birthday parties and stopping over for visits. His 7 grandchildren Hailey, Carter, Hannah and Cooper Binkowski and Colin, Camy and Caris Wedge will miss him dearly. Chuck is also survivied by his sister Judith Tunison and many nieces and nephews. Chuck was preceeded in death by son, Brian Johnson, his sister, Joan McCarthy and parents, Clyde and Ida Johnson. Please join the family to celebrate Chuck’s life at Walter Funeral Home, 4653 Glendale Avenue, Toledo, on Tuesday, April 2nd from 2 to 8 p.m. Chuck’s funeral service will begin at the funeral home on Wednesday at 11 a.m. A private graveside memorial will be scheduled at a later date. Memorial contributions in Chuck’s memory can be made to AA Central Office, 3328 Glanzman Rd. Toledo, Ohio, 43614 or to a charity of the donor’s choice. Please leave condolences for the family at walterfuneralhome.com. To send flowers or a remembrance gift to the family of Charles E. Johnson, please visit our Tribute Store. "Email Address" would like to share the life celebration of Charles E. Johnson. Click on the "link" to go to share a favorite memory or leave a condolence message for the family.